The thought itself is frightening and gives one goose bumps. Spanish Director of Sci- Fi Horror “Apollo 18”, Gonzalo Lopez is coming up with another horror titled “Open Grave”. 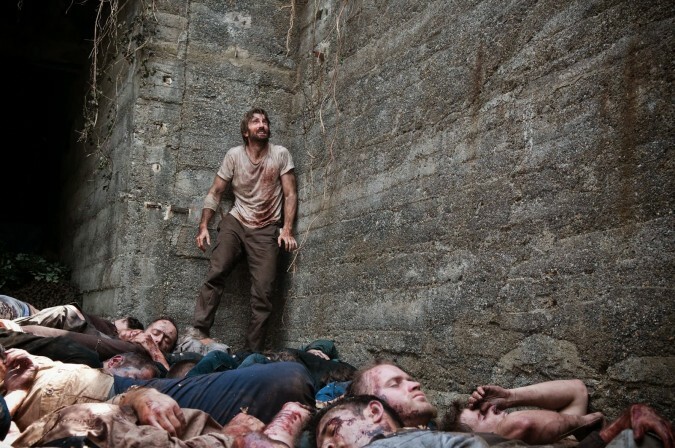 The film tells the story of a man who wakes up to find himself in a pit filled with dead bodies. His memory is lost; he is not sure who actually killed those people, whether it is the person who saves him from that pit, or that he himself is the killer. Sharlto Copley, star from Oscar nominated Sci- Fi “District 9” is playing the main lead while “Contagion” actress Josie Ho plays a vital role in the movie. The film was released in the USA in Jan’2014 and is expecting a worldwide release in April.